Everyone can use some help… especially when it’s free. 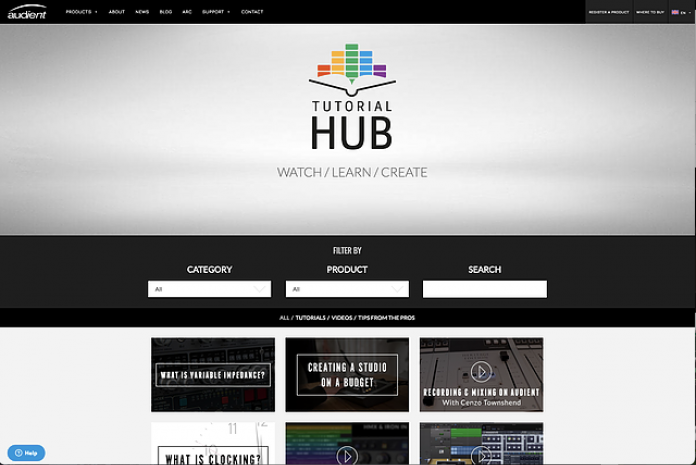 Audient now has a tutorial hub training. Herriard, UK; 17 July 20, 2017 – To complement the recent unveiling of ARC Creative Hub, which gives new and existing customers access to a comprehensive range of free software, Audient introduces a new online Tutorial Hubcontaining general advice on recording, mixing, mastering and technology in different music genres, and helpful tips for users of specific Audient products.